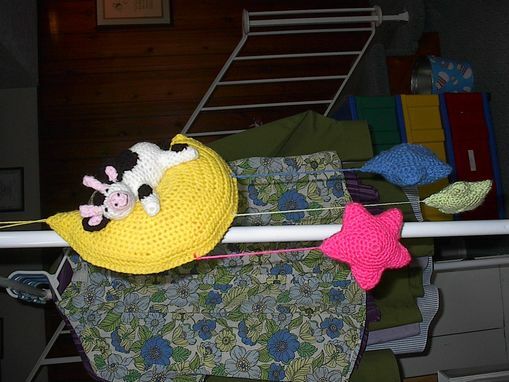 Baby Mobiles are fun for the crib. The Cow Jumped Over the Moon is hand crocheted and has a star hanging from the chain. The moon measures approx. 12". 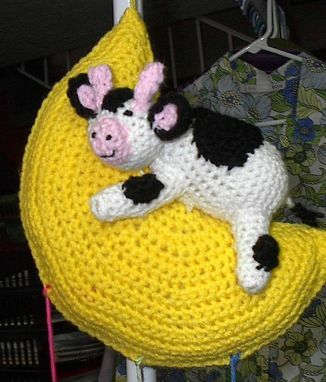 The Cow is attached permanently. He is adorable and any child would love this.